Please note that our New Member Enrollment Department will be closed throughout Pesach. Our Current Member Services Department will be available Chol Ha’moed for urgent issues. After members have met their Annual Pre-Share Amount, United Refuah HealthShare will share 80% of eligible medical expenses, and the member will be responsible for a 20% Co-Share. The 20% Member Co-Share is limited to an annual Co-Share Maximum. Once this maximum is reached, eligible expenses are shared at 100% up to $1,000,000 per incident. As a United Refuah member, you’ll not only save money, but have complete control over your healthcare decisions with our nationwide Open Network structure. That means you can go to any doctor or healthcare provider you choose. We keep your healthcare costs low by offering affordable monthly plans, and helping you and your family stay healthy. Our WellCheck programs help you stay on top of your health by giving you the support and information you need. It only takes about 5 minutes per family member to apply. Get started now. Your membership will be active on the first day of the month following your acceptance. Call us at 440-772-0700, or we can call you. Please provide your name and number, and one of our representatives will contact you promptly. 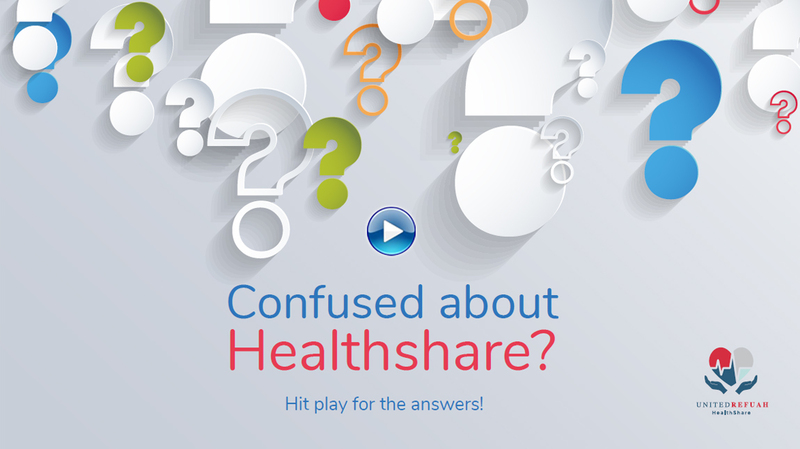 Get affordable healthcare, right here in our healthsharing community. United Refuah Healthshare is not insurance, it’s a group of people like you who share one another’s healthcare expenses.